Justice Snell sights in on her target. The wind whistled around her blonde hair as she sighted in on her target. Tuning out the laughing chatter from the next stage, her focus was on the black dot far in the distance and the steady, calm instruction coming from a voice to her left. Calculating for the wind, the distance, and the weapon that she has been learning for months, she takes the shot. “IMPACT!” someone calls, a split second before the distant plink is audible to onlookers. 13-year-old Justice Snell shifted to the next target and followed suit, clearing the stage. Snell lay in the frozen mud next to her father, US Marine Corps veteran Toby Snell, one of the American Freedom Fund Patriots Shooting Team members, who came to the match outside of Cheney, WA, on a frozen Saturday in January with his daughter and other teammates, giving no thought to the below-freezing temperatures and knee deep mud criss-crossing the range. This is what they do. They stamp their feet to stay warm between stages and watch as each shooter navigates their way through the course, picking up tips and angles from the experience of the shooters before them. Snell and his daughter were joined at the match with Inar Frostad, a Navy vet who had met Snell briefly when they both served as Range Officers (RO) for a different match. Both local to the area, Snell and Frostad connected over their shared military experience and love for shooting. They came together again at the AFF Catch 22 Shoot outside of Kettle Falls last spring, where they met more veteran shooters from the tri-county area, including Patrick Flanagan, who also joined them at the Miller Ranch shoot for this cold morning shooting match. There were no high stakes here at the Miller Ranch Small Game Shoot. No major awards or fancy prize tables, ust a lot of mud, laughs, and before the last stage of the event, a cloud bank that would roll in and enshroud the whole range with pea-soup fog, completely obliterating the targets from sight. The Patriots Shooters shrugged off the early end with a laugh, happy to be in a heated vehicle together headed toward warm food and storytelling. The takeaway from this shoot are the growing friendships. The knowledge that just up the road there’s another guy who’s been there, deployed to some foreign place witnessing things that their friends back home can’t relat to. Here they have somebody else who gets it. They’ve got kids and families who support and love them, but this is where all those memories and questions from their years of service find a place to surface, even if they aren’t answered, or spoken, they are shared. These guys know. They share the restless itch that civilian life and jobs don’t quite scratch. Their mutual discontent, right under the surface, remembers what it was like to be part of a team fighting for something that mattered, maybe even for their lives. 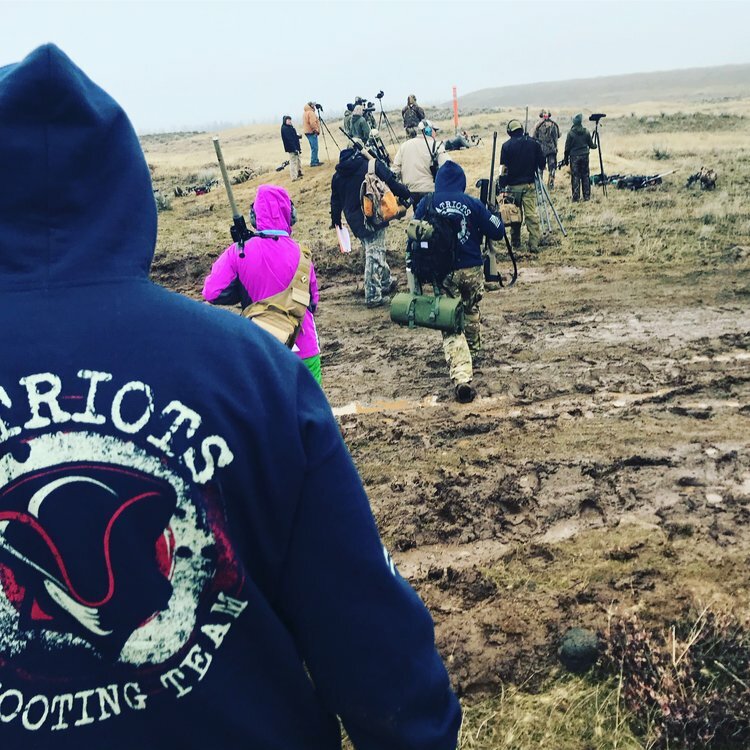 This is what the AFF Shooting Team is all about, joining the vets with the brothers-in-arms that are sprinkled throughout our communities but might otherwise not ever connect. Bringing generations together, Vietnam veterans and Gulf War vets and the veterans of more recent conflicts, together with their families, and kids like Justice, parents and spouses, building that safety net of understanding and support. 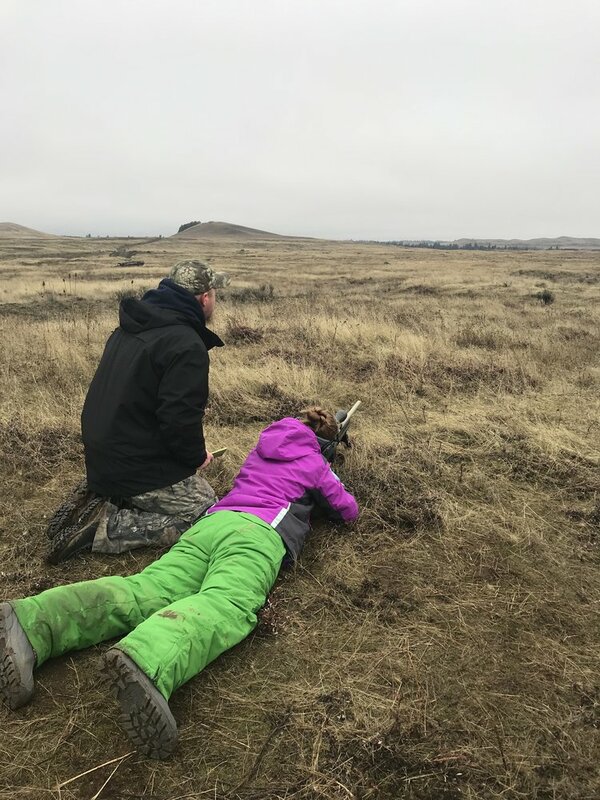 Snell’s 13-year-old daughter outshot most of the vets from the team that day (at her first ever official competition) except maybe her dad, upping the challenge for the next shoot, which will hopefully be a little warmer. Every event the shooting team makes it to happens because these guys and gals have a community that supports them. Donations from AFF supporters help to cover the registration and ammunition costs of these multi-generational matches that bring vets and their families together. It makes it just a little easier and a little more possible for vets who have bills to pay and families to provide for. The Big Voice, AFF and all of our veteran and active duty shooters thank you for your support and for making this community the amazing place that it is. 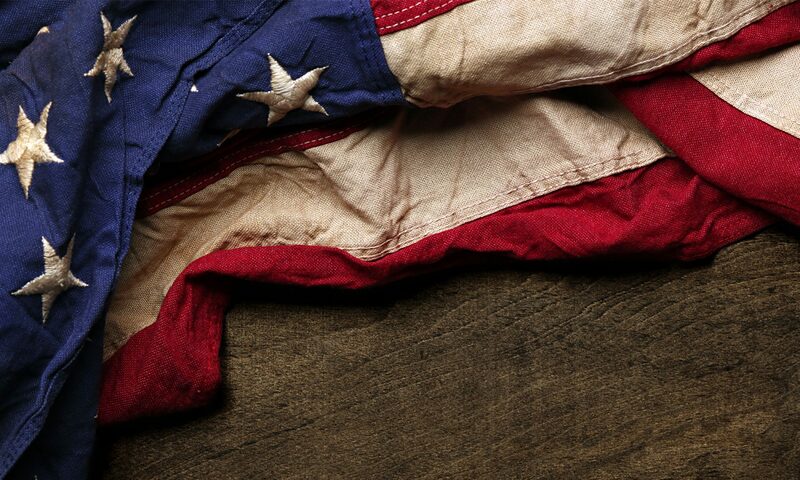 For more information, visit AmericanFreedomFund.org or find The American Freedom Fund and The Big Voice on Facebook. The AFF Patriots make their way between stages at the Small Game Shoot.